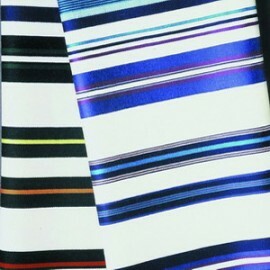 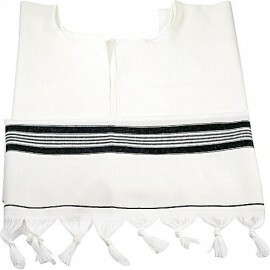 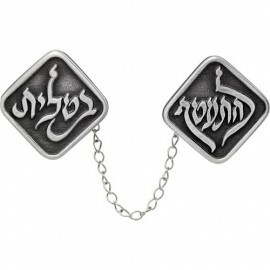 Note: According to Jewish religious laws (halacha) a tallit is kosher if the Fringes "Tzitzit" is made of pure wool and was tied by a God fearing person. 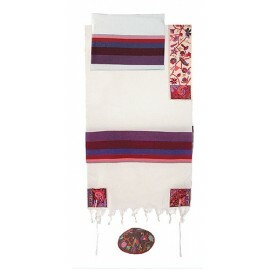 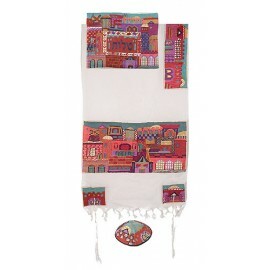 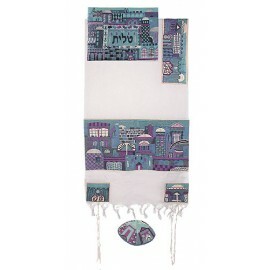 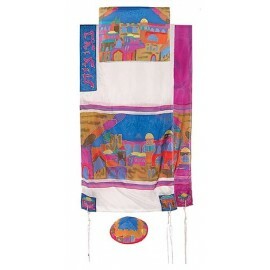 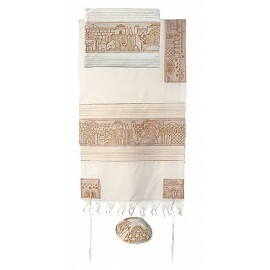 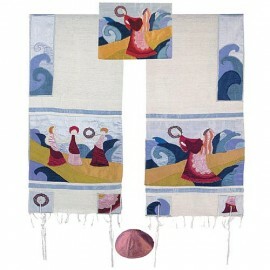 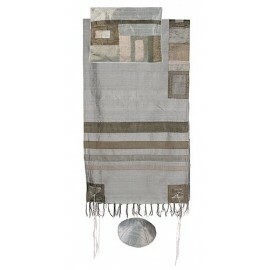 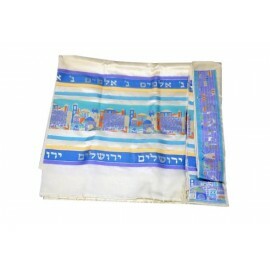 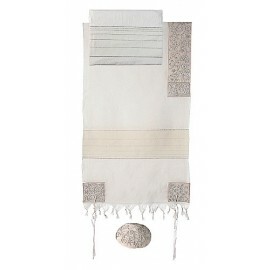 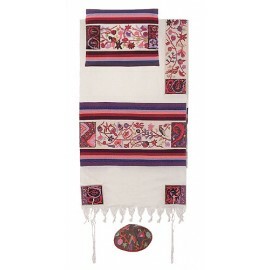 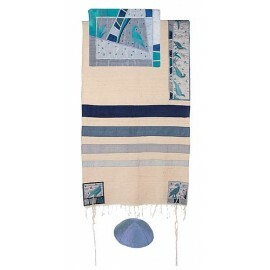 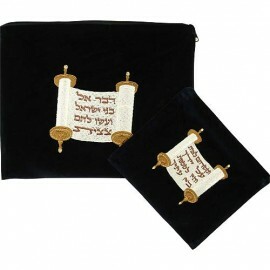 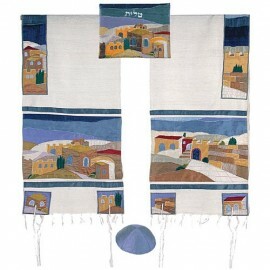 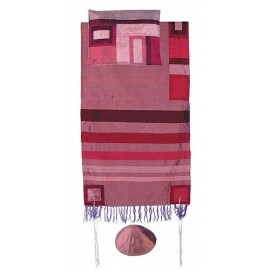 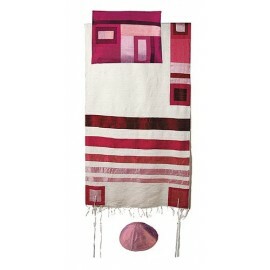 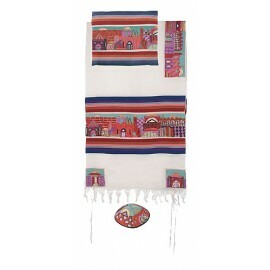 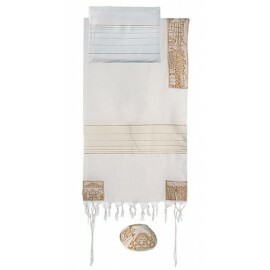 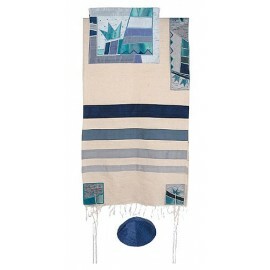 The tallit can be made out of natural materials such as wool, cotton, silk or synthetic materials and can display various scenes . 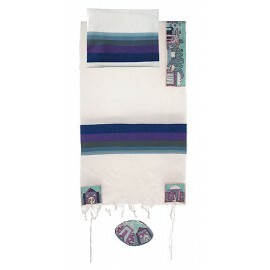 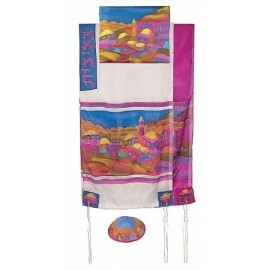 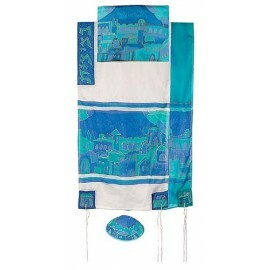 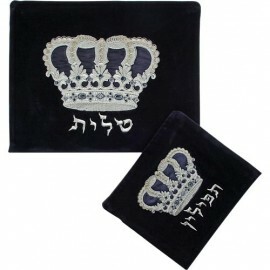 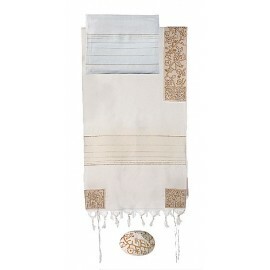 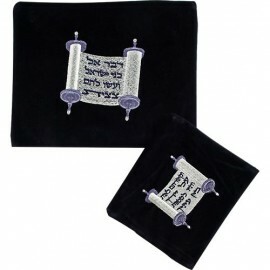 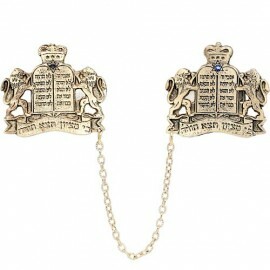 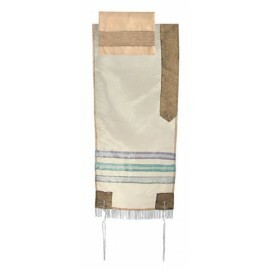 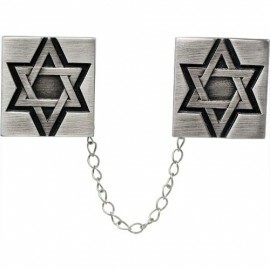 All tallit presented at Judaica Mall are 100% kosher.